Having emerged as a purely formal organization for rapidly developing countries which were attractive for western investors, the BRIC bloc, later BRICS, has become a club for states which are united not only by their economic indicators, but also their general position in the international environment. One of the main factors consolidating the five member states of the bloc was the sense of “under-representation in western-centric international organizations”, said Dmitry Suslov, deputy director of the Faculty of World Economy and Politics at the Higher School of Economics. The main goal of the organization is to actually shift towards a multi-lateral world in which international law is respected. According to Sergey Ryabkov, Deputy Minister of Foreign Affairs, “BRICS is the personification of network diplomacy in the best way of understanding the term.” The activities of the association are based not on the dictates of a single country but on the basis of a consensus. The evolution of BRICS was not initially aimed at the establishment of alternative instruments for global governance, but for strengthening of already existing instruments, explains Dmitry Suslov. “In so far as the West does not want to share its dominant position and use it for international political goals (as is clear from the sanctions applied to Russia), BRICS has started establishing parallel international structures. We are not talking about replacing, for example, the World Bank with the BRICS Development Bank, but about the foundations of global governance fitting together”, he said. On the way to achieving its specified goals, BRICS will not evolve into a fully-fledged, centralized organization, said Sergey Veselovsky, Associate Professor at the Department of Global Processes. “So far, not a single country in the organization is prepared to take up the formal burden of its economic and political leadership, drawing the other countries around it”, he explained. It will not be a bloc, which will move towards horizontal integration along the lines of the European Union. “BRICS in no way can be integrated, for a number of reasons. Beginning with the fact that the member states are located a huge distance from each other, and concluding with the fact that the main feature of all the member states is their very keen sense of sovereignty and freedom of action”, said Fedor Lukyanov, the editor of Russia in Global Affairs. According to Suslov, BRICS is unlikely to take steps towards institutionalization, and is most likely to retain the forum with a rotating chairmanship. However, to increase the effectiveness of the current format, the organization should increase coordination in all areas, believes Academician Georgy Tolaray. “To coordinate foreign policy positions, it is necessary to begin by signing a declaration on the guiding principles for BRICS countries; something like the ASEAN Bali Concord. It is also necessary to propose an international five party commission at the deputy prime ministerial level to coordinate economic cooperation,” said Tolaray. Given the enormous potential of BRICS; the five member countries make up 40% of the earth’s population, and their total GDP is more than 20% of the global GDP; Russia attaches great importance to its participation in the organization. Moscow itself plays an important role in the block. In the context of new disagreements with the West, BRICS has become especially important for Moscow, because this association can be a tool to reform the global system as a whole and not just its economic component. For this reason, Russia has initiated a discussion on security issues within the BRICS format and its partners, concerned with growing instability in the world, have supported this initiative. At the end of May, Moscow hosted a meeting of deputy foreign ministers from BRICS countries, devoted to the situation in the Middle East. Olive Shisana, the representative from South Africa, noted that experts from the five countries identified five areas of activity for BRICS as part of consultations: the economy, security, social justice and quality of life, public administration and innovation. 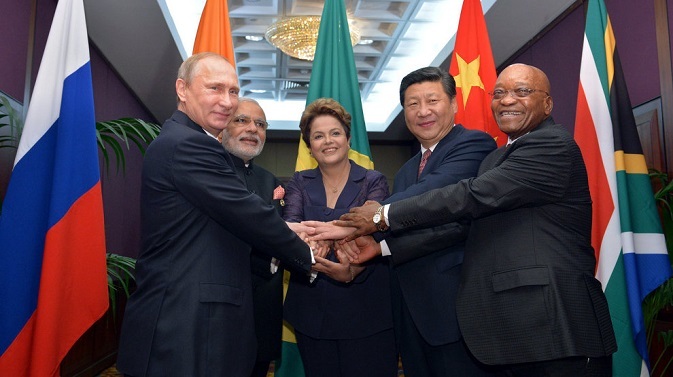 “BRICS is a very important tool that will offer alternative ways of global governance,” Shisana said.